Happy Halloween! 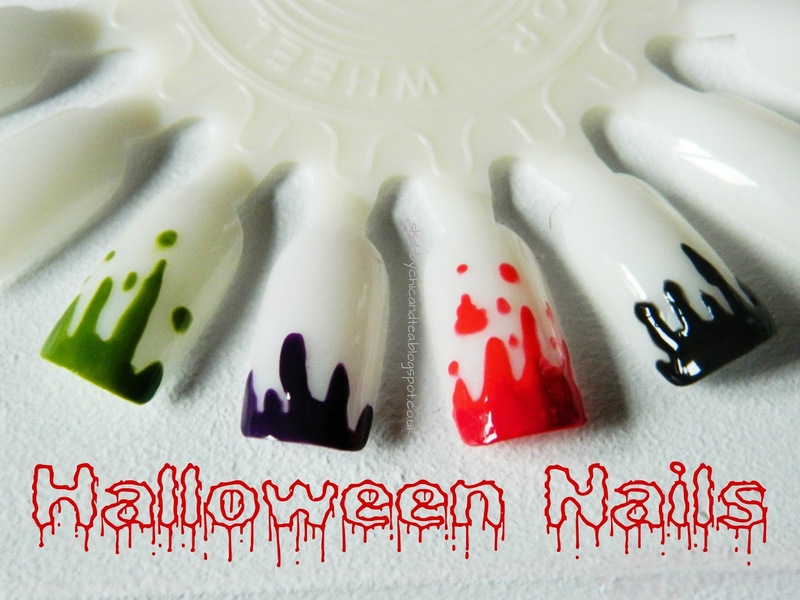 I hope you enjoy my second Halloween inspired nail art tutorial! 1. You will need: Red polish (Calvin Klein 'Salmon'), dark red or dark pink polish (Barry M Hi-Shine '305 Pomegranate'), top coat(MUA) & a dotting tool. 2. Draw a wavy line at the tip of your nail using a dotting tool. 3. Paint a darker shade at the top of your nail and blend in with a dotting tool or small detail brush. 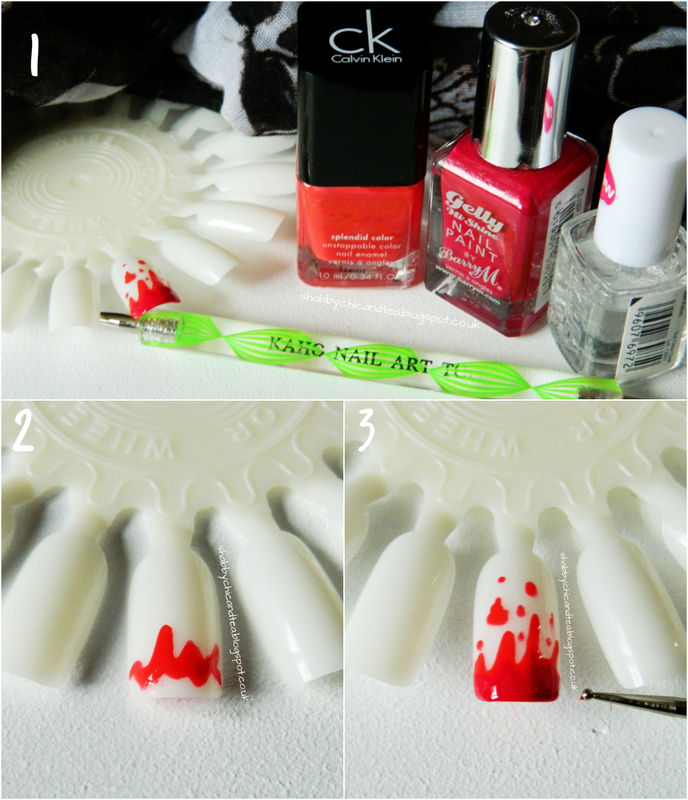 Dot red polish onto the middle of your nail to create a drip effect. Finally apply a glossy top coat to finish off your design.